How to get Free Reliance Jio Sim for Unlimited 4G Internet & Voice Calling for 3 Months. 5 Steps To Get Reliance JIO Sim For Free. How to get Jio Sim Card for Free? 1] Download MyJio app from play store. 2] Click on ‘sign up’ & enter name, mobile number. Confirm your account by OTP verification. 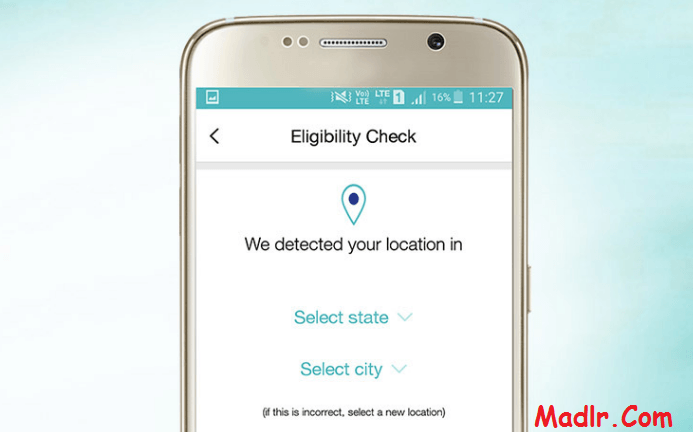 3] Enter your location (state & city) from the list provided in app. 4] Now app will generate unique coupon code for you. Just take a screenshot to be on safer side. Dream11 - Play Fantasy Cricket & Join Leagues to Earn Real Money in Bank Free. Some Simple PC Hacking, Tricks You Didn’t Know - June 2016. Hacking Facebook accounts using Cookie Stealing and Session Hi-jacking. 5] To get free jio sim, you’ll need 2 documents, address proof & identity proof. You get numerous options to choose from like Adhar card, driving license etc. 6] Turn on your GPS & app will show you authorized reliance digital centers nearby your location. 7] Visit any one of the shop & show them coupon that you got in 5th step along with 2 documents. 8] That’s it. Once you get sim card, call on 1977 for tele-verification (customer care guys will ask you for address, name etc). 9] Get ready to enjoy unlimited 4G & voice calls for 3 months! If any inquiry about this post feel free to comment. Tags: How to get jio sim card, get jio sim, jio sim, 4g unlimited reliance jio free, free voice call, internet free.